Wind chimes are a beautiful addition to any garden as they add a touch of whimsy, music and art to an already gorgeous place. they help make your home a magical place that eases nerves and comforts the spirit. 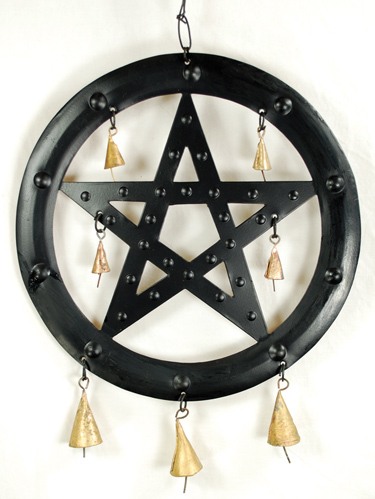 It is very common too for people to use wind chimes in their garden to make a personal statement about themselves. For instance, Wicca gardeners often use natural motifs such as images of the moon or the goddess to symbolize their interests. 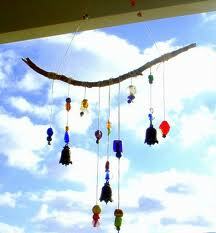 wind chimes can also be helpful when it comes to telling you which way the wind is blowing and if you can expect a storm any time soon. 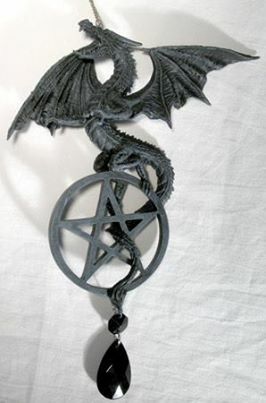 this Dragon/Pentagram dreamcatcher is perfect for the dragon in each of us... Created as a dream capture, this hanging ornament depicts a fierce eastern dragon in exquisite detail. 8"